ALTR Created Diamonds, which produces lab-grown diamonds and is owned by R. A. Riam Group has unveiled the largest pink synthetic diamond ever created, according to a press release. 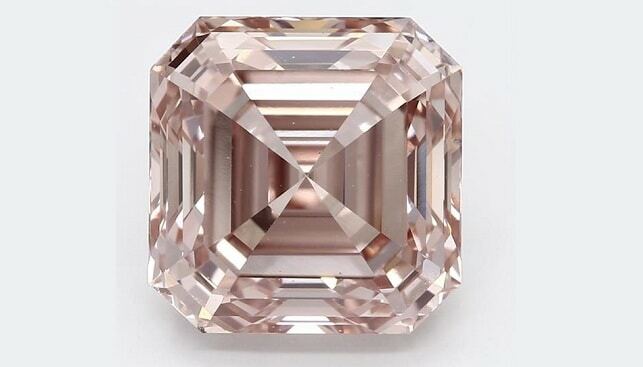 The diamond, an Asscher cut 3.99 carat fancy orangy pink, VS2, was unveiled at Borsheims Fine Jewelry in Omaha, Nebraska. According to the company, “gem-quality pink Created Diamonds are extremely rare and sought after” and account for “less than .01 percent of production”. According to a survey of prices released in March, the discount of gem-quality lab-created diamonds, manufactured for use in jewelry, relative to natural diamonds has doubled from 11-20% a year ago to 28-40% today. For example, a white, 1-carat round diamond that is VS (very-slightly included) in clarity, F-H (near-colorless to colorless) in color, VG-ideal cut, with no-to-low florescence was selling for approximately $4,850 in March 2017 but is now $4,350 in March 2018, a 10% decline. The discount of the lab-created diamond relative to the natural equivalent was approximately a 17% in March 2017, but is now about 29% – a 71% year-over-year increase.